Iceland is known as the ‘Land of Fire and Ice’ due to the presence of active volcanoes and large glaciers in its region. This Nordic island country has some of the most spectacular landscapes in the world and with so much variety, on top of all the great Iceland tours available, here’s some of recommendations of things to see while you’re there! The Reynisfjara shore on the South Coast of Iceland is the most impressive of black sand beaches in Iceland. The black sand is made out of basalt, and the location features cliffs and a pyramid of basalt columns called the Halsanef. The area is a haven for seabirds such as fulmars, puffins and guillemots. 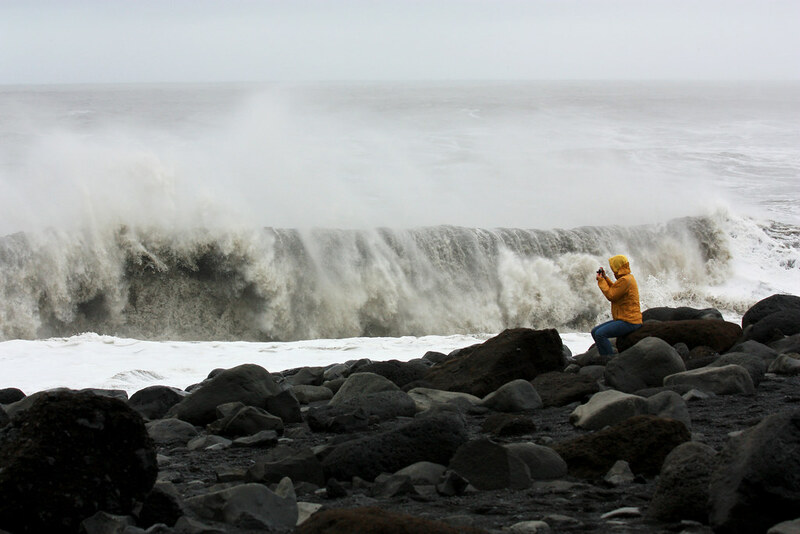 A word of warning – the waves at Reynisfjara are notoriously strong and unpredictable, and there have been deaths due to lack of care. It is recommended to stay away from the water. When there’s volcanic areas, there’s also spectacular geothermal sites to see. Check out Strokkur, a fountain geyser that spouts water every 6-10 minutes at heights of about 20m. The Krafla Caldera has a 10 km diameter and is filled with eruptive material. The fissure zone is 90 km and the caldera itself is 2km deep. You could say it looks a bit like a hot cauldron! South of where Krafla is located is Namafjall which is a mountain that shares a geothermal area with fumaroles and mud pools. This place has a bit of a smell due to the sulphur in the soil, but it does have interesting sights that can be observed while doing a small hike up to Namaskard Pass and the mountain. One of the most well-known waterfalls of Iceland, Seljalandsfoss is an amazing natural wonder that drops water from a height of 60m and sources its water from the Seljalands River. It’s not just a regular waterfall either! You can even access a small cave behind the waterfall. Other popular waterfalls in Iceland worth checking out are Gullfoss, Skogafoss and Dettifoss Waterfall. Jokulsarlon is a glacial lake in the southeastern part of Iceland. The lake has increased in size due to the continual melting of the glaciers. It’s currently one of the deepest lakes in the country. You can catch a glimpse of Breiðamerkurjökull glacier which is one of the major attractions. Myrdalsjokull is an ice cap that covers Katla, an active volcano that has erupted roughly every 40-80 years. It is known to be a very wet location with high levels of precipitation.